In today’s political and social climate, finding a good news source is of incredible importance. News is everywhere, but how do we know what sources are legitimate? What sources can we trust? As college students, it is of utmost importance that we stay active and involved in news culture, as we must stay informed to vote intelligently and understand the issues in our own country and throughout the world. In a survey, I asked students to define “legitimate news.” Many named sources such as CNN, NPR and Washington Post, but others expressed the difficulty of defining news, saying, “I have a hard time trusting completely many news sources since they take popular [partisan] slants…” Political biases in articles tend to polarize people from news, making it even more important to develop ways to detect legitimate news sources. I interviewed Ben Felder, an investigative reporter for the Oklahoman’s Watchdog Desk who specifies in education and politics, to get advice on how to define news and where to get legitimate news. “For me, a legitimate news source is one in which… an organization has a relationship with the community.” Felder stated. Local politics are incredibly important, as Felder emphasized that local politics affect the people more than national politics. As students of voting age, staying aware of local politics is crucial. Local news offers a way to stay connected to local political issues as well as offers a more accurate view of local events. He goes on to define a legitimate news source as, “a news outlet that has some system of checks and balances in place… My stuff gets edited not just for grammar, but it is also getting fact checked and going through a copy editor… They go over the numbers and names before the article is published.” Having different opinions and perspectives allows for less bias and more accurate news. Legitimate news sources are easy to spot if people are aware of what to look for. According to Felder, a legitimate news source could include local news stations and papers, as they often provide more accurate coverage of local events. It should also go through many people, allowing for multiple perspectives to reflect on the accuracy of the article. Finally, it should be able to take responsibility for inaccuracy, as mistakes happen often. It is important to look for these things when reading the news. 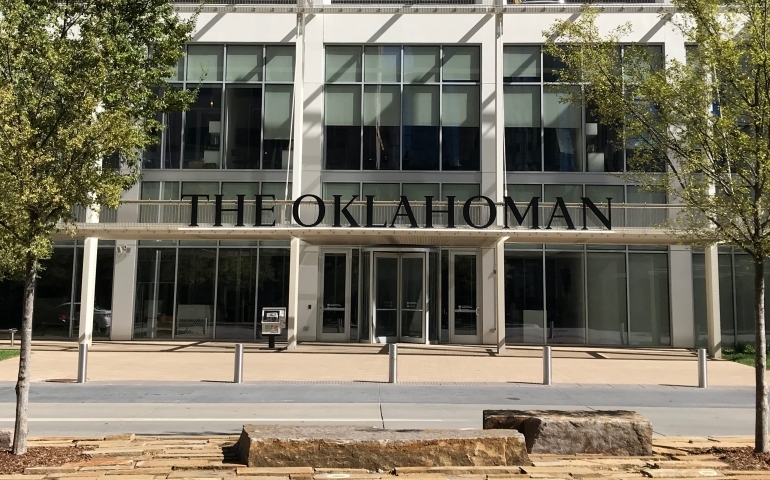 If you are looking for a good local news source, The Oklahoman is a great one: https://www.oklahoman.com/news.